We re-discovered a coat Elizabeth Zimmermann had knitted in 1970. It featured an extraordinarily beautiful Queen Elizabeth styled collar knitted in (as opposed to knitted on) and Elizabeth's invented phoney seams. Cully adapted the pattern and Meg knit the coat in our Rangeley wool. The updated version includes an A-line shape with visible decrease lines to create a paneled look, flattering on every body. 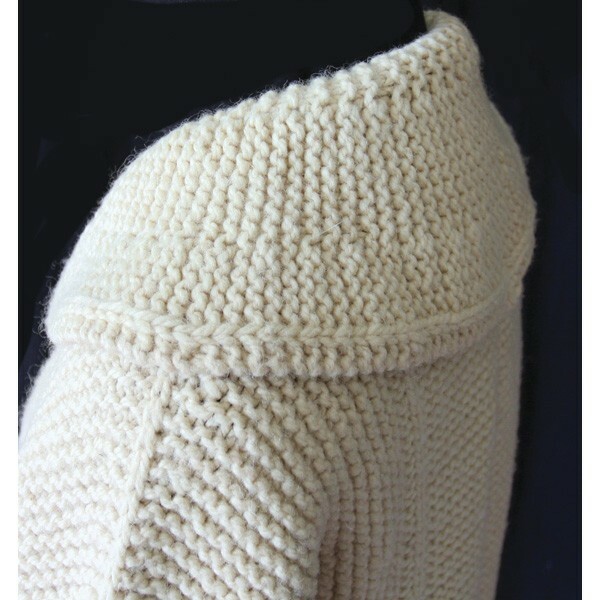 In garter stitch, with stocking stitch sleeves to slim the arms. 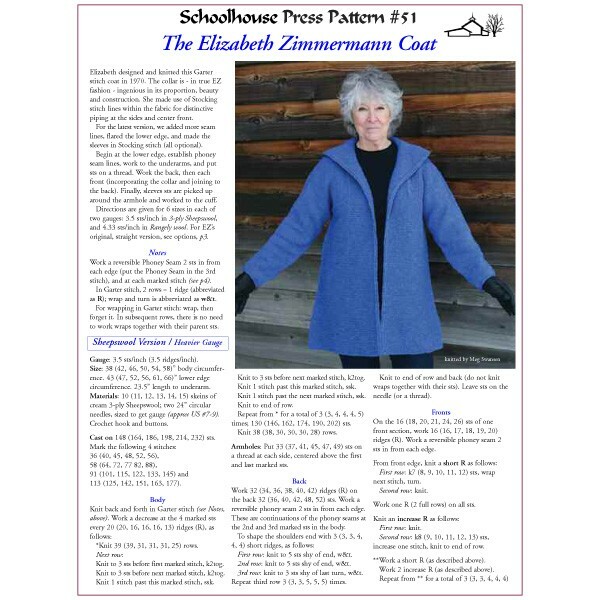 The instructions include six sizes for two different weights of wool, plus variations for length and styling, and EZs I-Cord Tab Buttonholes. Print version comes in a 3-hole, archival quality sheet protector. Watch the video below to see Knitting Campers' versions of the coat and hear them discuss knitting the coat.